EuropaColon aims to unite patients, caregivers, healthcare professionals, politicians, the media and the public in the fight against digestive cancers. The Organisation works with 43 groups in 32 European countries and has been recognised as the voice of colorectal cancer patients in Europe. The European Cancer Patient Coalition (ECPC) is the largest European cancer patients umbrella organisation. Local cancer patient organisations can be identified by searching the members’ database here. 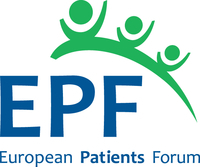 The European Patients Forum (EPF) is an umbrella organisation that works with patients’ groups in public health and health advocacy across Europe. The European Patients’ Academy, EUPATI trains patient experts on medicines development, clinical trials, medicines regulations, health technology assessment. Additionally, EUPATI offers and maintains the Toolbox on Medicine Development, and coordinates a network of national platforms for patient advocates. The Felix Burda Foundation is a German-based, internationally active foundation that deals exclusively with the prevention and early detection of colorectal cancer. This Irish national cancer charity is involved in cancer research, advocacy, information, education and support. The Irish Cancer Society helps influence decision-makers at government level and cancer policy in Ireland. Bowel cancer, also known as colorectal cancer: what it is, stages, getting diagnosed, types and grades, treatments, and more. Up to date and reliable information about bowel cancer including symptoms, risk factors, screening, diagnosis, treatment and living with and beyond bowel cancer.